With their characteristic black spot, or “eye,” on cream-colored skin, black-eyed peas are among the most recognizable legumes. 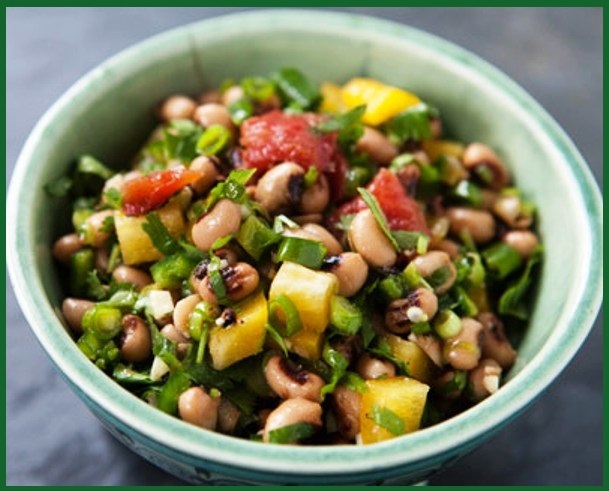 Also known as black-eye Susans or cowpeas, they are traditionally enjoyed in the form of Hoppin’ John – a southern United States specialty featuring black-eyed peas and rice – they are said to bring “good luck” when eaten on New Year’s Day. The peas represent pennies or coins, and are served with collard greens to represent money and cornbread to represent gold. 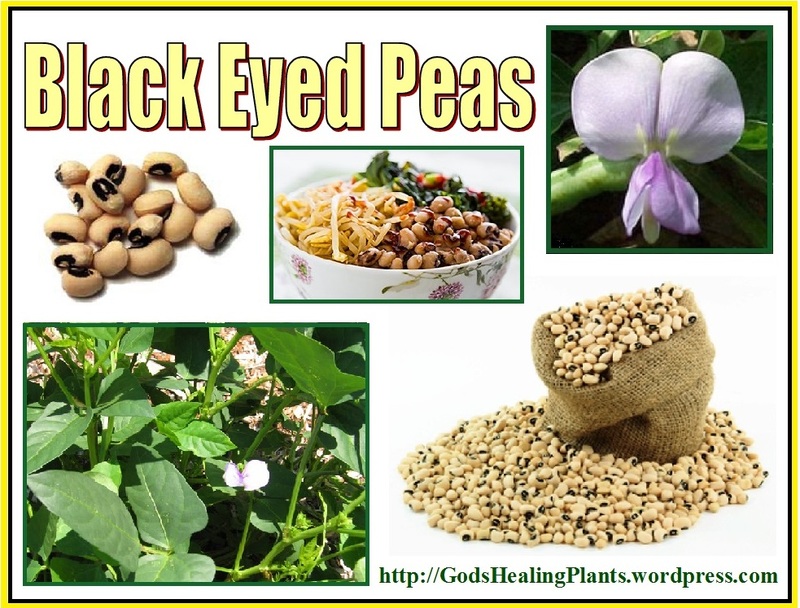 Black-eyed peas are a variety of the cowpea and are part of the family of beans & peas. 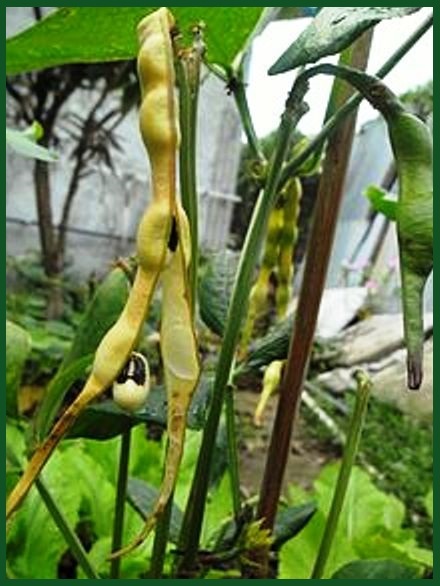 Although called a pea, it is actually a bean. Both peas and beans are legumes, and both have edible seeds and pods. They are available dried, frozen and canned and offer several health benefits when included in a well-balanced diet. They make a good addition to soups, stews and salads and are also a healthy side dish. Like most beans, black-eyed beans are rich in the best sort of fiber – soluble fiber – which helps to eliminate cholesterol from the body. They are a good source of folate, potassium, copper, phosphorous and manganese. As a high-potassium, low-sodium food they help reduce blood pressure. 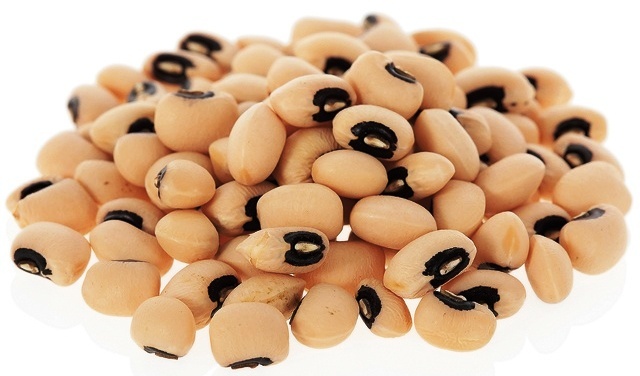 Black-eyed peas also contain vital nutrients, such as B vitamins, vitamin E and iron. Not only are they low in fat, but also supply high quality protein which provides a healthy alternative to meat or other animal protein. Beans also contain protease inhibitors which frustrate the development of cancerous cells. 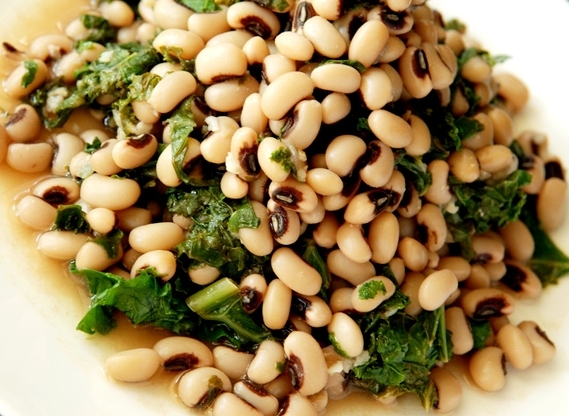 Select dried black-eyed peas that are smooth skinned and creamy white. If purchasing from “bulk bins,” be sure the store has a good turnover of beans so that you are getting “new” not “old” beans that have been sitting in the bin for 6 months or more. Soaking is not essential for black-eyed peas, but cooking time can be shortened if they get a quick soak in hot water (as opposed to a longer one in cold water, like other beans). Place dried peas in a pot, cover with water, and bring to a boil for 2-3 minutes. Remove pot from heat and allow to stand for 60-90 minutes. Drain water and replace with fresh, cold water for cooking – or if you skipped the hot-soaking step, just rinse and add cold water. Place on stove and bring to a boil in a pot with a lid. Once boiling, reduce to a simmer, tilting the lid slightly to allow steam to escape, and leave to cook for up to an hour, or until tender. The flavorful peas are used to make a variety of tasty dishes like: soups, salads, fritters, and casseroles; they can also be puréed into a hummus-like spread; or sprouted. Pretty nice post. I just stumbled upon your weblog and wanted to mention that I’ve truly loved surfing around your blog posts.